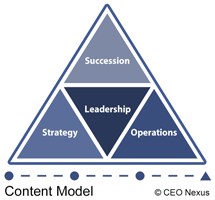 CEO Nexus works with clients to cover many different subjects. Often, along the way, we utilize or stumble across great resources that we would love to share with you. Below is but a small collection of these book titles that we believe to be extremely valuable.